Slovenia was a surprise to us. We went there for a festival and ending up falling in love with this deeply underrated country. It’s a small place that packs in a lot of delights – from a lively, picture-perfect capital city to fairytale castles and magnificent nature at every turn. Add to that mountains, lakes, wine valleys, and some of the best food we’ve ever eaten, and you have the perfect holiday destination. 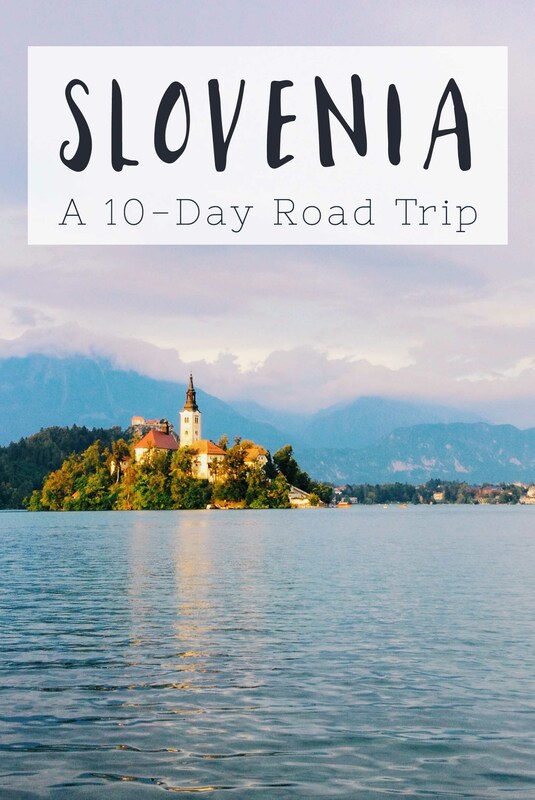 We highly recommend it, and in this post we’ve put together the perfect 10-day Slovenia itinerary, including where to stay, what to do, and how much it all costs. As a thank you to Steve’s parents for all they did to help with our wedding, we decided to plan a holiday for them. We chose Slovenia because of all the reasons above: it’s an ideal European trip and we were confident they’d love it. We put together an itinerary for 10 days in Slovenia based on all the things we’d done on our own trip, adding one place that we haven’t been to – Piran. The feedback was positive: they loved Slovenia as much as we did. 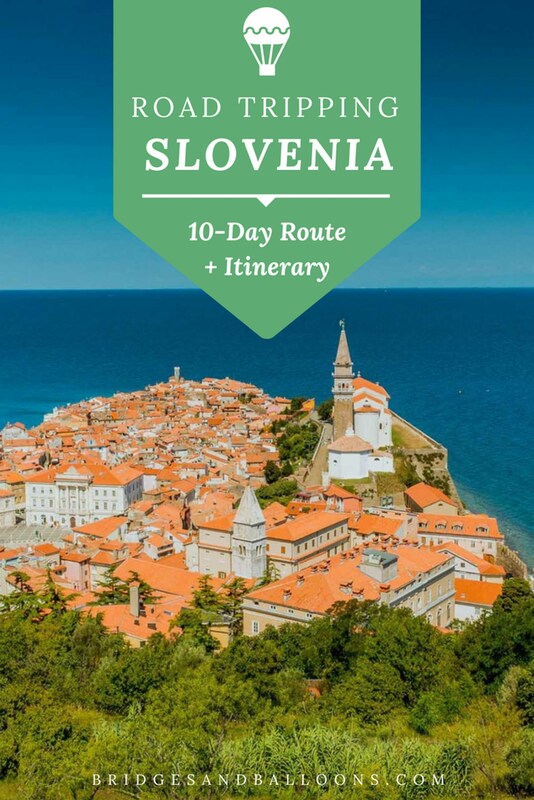 This post details all you need to replicate that 10-day Slovenia road trip itinerary. 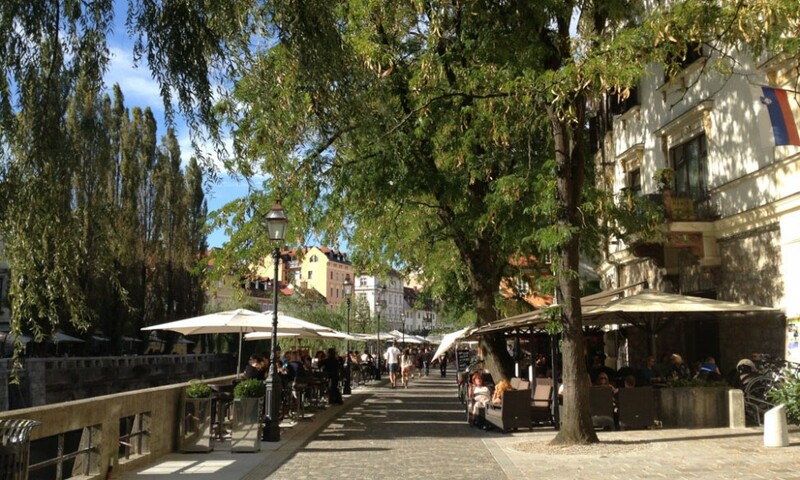 We recommend three nights in Ljubljana, Slovenia’s tiny capital. We found it to be an enchanting little city and especially loved spending time wandering around the old town. 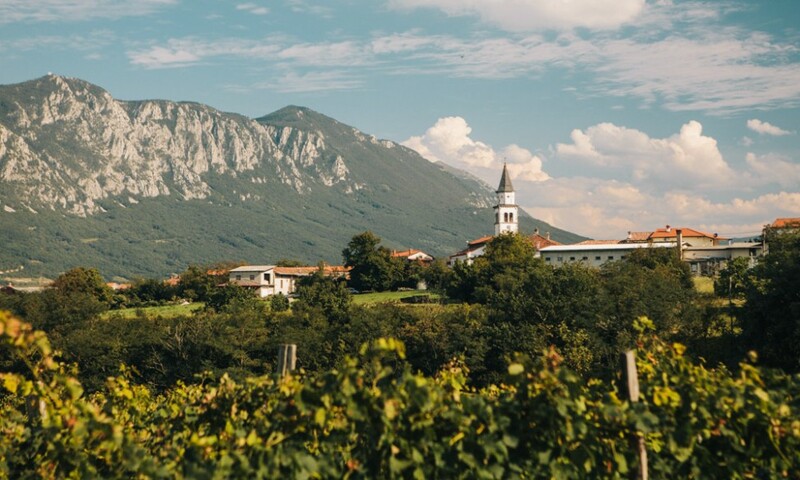 As well as exploring Ljubljana, we also recommend taking a day trip to the east of the country where you can explore Slovenia’s second city and the Jerusalem wine region. 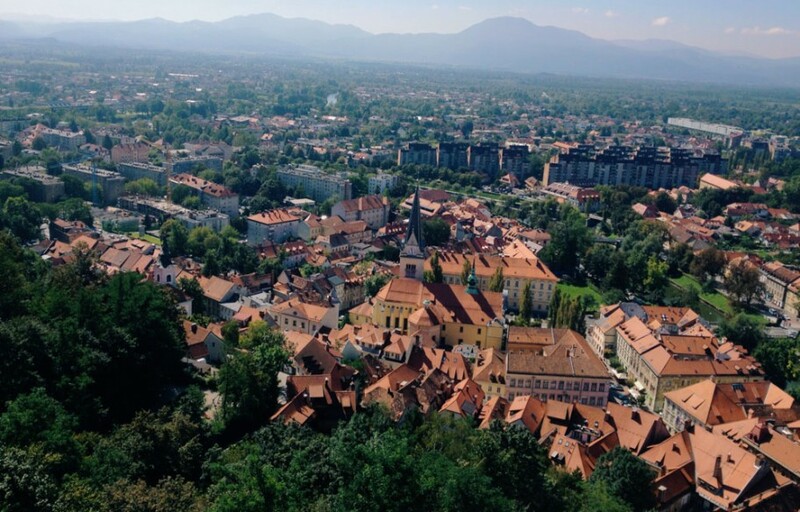 Get a taste of the city in this photo essay of Ljubljana. You can catch a bus from Ljubljana airport to the centre of town, or alternatively take a taxi. There’s a shuttle bus from Ljubljana airport. When we went to Ljubljana, we stayed in the Tresor Hostel, which was nice and clean and very central but it lacked character if that’s what you’re looking for. We heard that the Celica Hostel ( a converted prison) is also a great option and more social. Celica is next to Metelkova Mesto, which is an old Army Barracks that has been squatted since 1993 and now houses artists, galleries and bars with an alternative edge. If you’d like something more than a hostel, we booked this AirBnB for Steve’s parents, which they enjoyed. Book with this link to get £25 off your stay. 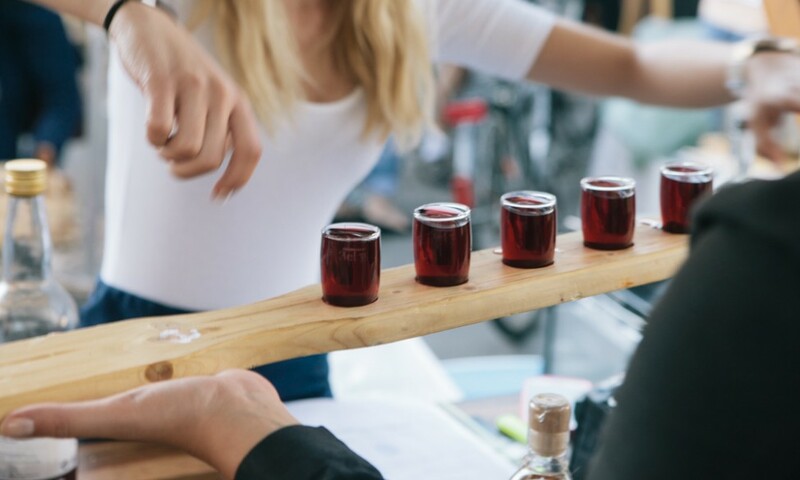 Open Kitchen is an outdoor street food market that takes place on Fridays from 10am-11pm in the Central Market, from spring to late autumn. There are around 30 different stalls selling meals from all over the world. Spajza is a lovely Slovenian restaurant in the old town. Mains costs around €20. Valvasor is a high-end Slovenian restaurant in the old town. We didn’t get to try it, but it’s highly recommended and is number 3 on Tripadvisor. 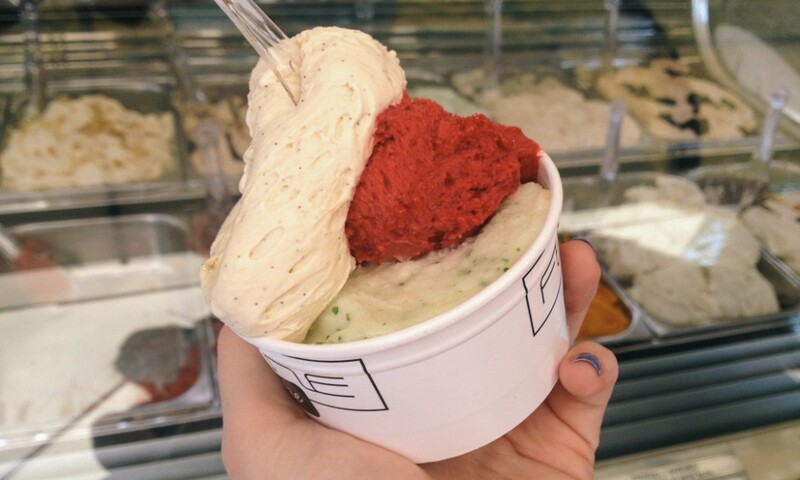 If it’s a nice sunny day, you could grab some gelato from Gelateria Romantika place near the castle – considered by many to be some of the best in the world, with a wide variety of interesting flavours. It’s worth doing a walking tour of the city, which will take you to all the main sights and give you some insight into the history and culture of Ljubljana. Nearly all of them include a trip to the castle, as well as the Triple Bridge and Robba Fountain. Some of the tours include a little boat ride, which is a lovely way to see the city. You can take a free tour with this company or there’s a full list of more formal tours here. This day trip includes a visit to Slovenia’s second largest city, Maribor and the Jeruzalem wine region, which is said to be one of the most picturesque wine routes in Europe. It also includes a visit to Ptuj, the oldest town in Slovenia. The tour costs €59 per person. You can either walk or take the funicular to the top – or do one on the way up, and the other on the way down. There are great views of the city from the top, and you can get a cup of coffee from the little cafe up there. This early 18th century Baroque cathedral has an amazingly intricate interior, and an interesting bronze door created in 1996 for Pope John Paul II’s visit. The city’s biggest park is a beautiful place to go for a walk. The promenade in the centre often holds photography exhibitions. 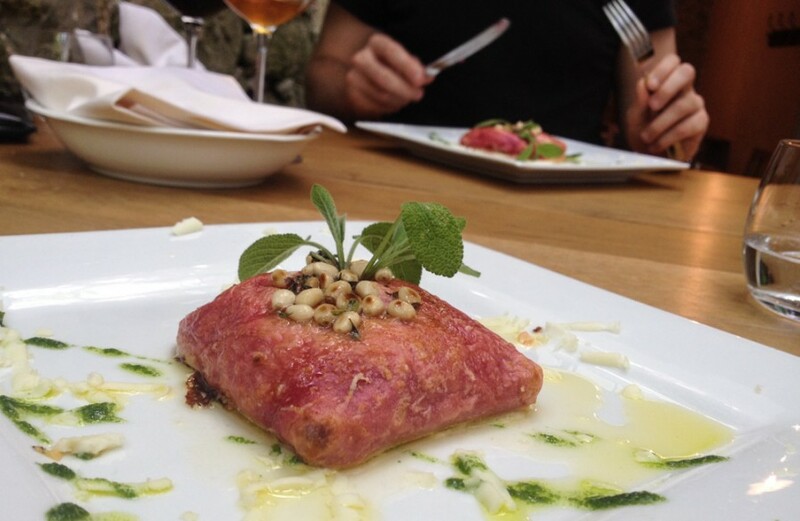 We’ve also been recommended food walks with Ljubljananjam. The National Gallery, Slovenia’s foremost museum of historical art, holds the country’s largest collection of fine art from the High Middle Ages to the 20th century. It also houses a permanent exhibition of works by Zoran Mušič (1909–2005), one of Europe’s leading modernist painters, and various temporary exhibitions. The Arboretum Volčji Potok is about 25 minutes from Ljubljana, which you might be interested in visiting. It’s a public park extending over 85 hectares, including tulip gardens, rhododendrons, roses and water lilies, trees, shrubs, natural forest and wet meadows. 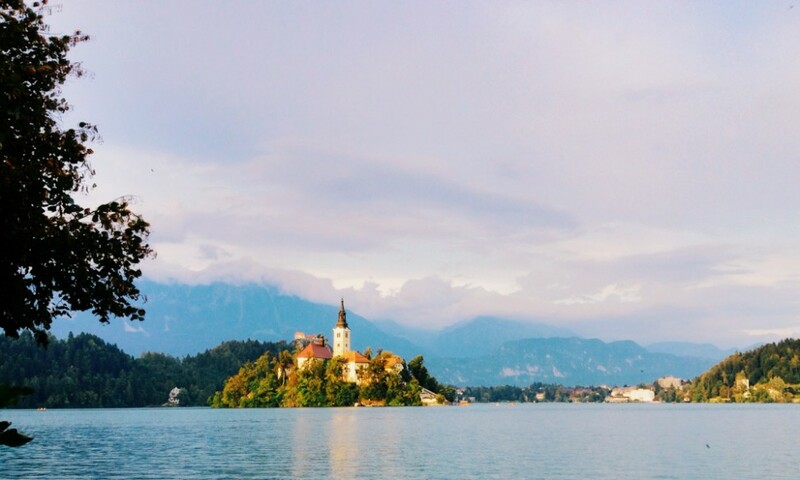 Lake Bled is one of Slovenia’s most iconic destinations with its fairytale castle, island and church set on an cobalt-blue lake surrounded by mountains. It’s pretty touristy, but beautiful nonetheless. You may also like to visit Lake Bohinj, its less touristy neighbour. Depending on your priorities, you could either spend a little longer in Ljubljana on the morning of 28 August or head straight to Lake Bled. Bear in mind that you need to leave Lake Bled early on the Tuesday morning. The trip from Ljubljana takes just under two hours. This is where the road trip part of your journey begins, so go to collect your car just before your drive to Lake Bled. We recommend searching for car hire with RentalCars.com who always have the cheapest deals in our experience. Your road trip Slovenia begins! 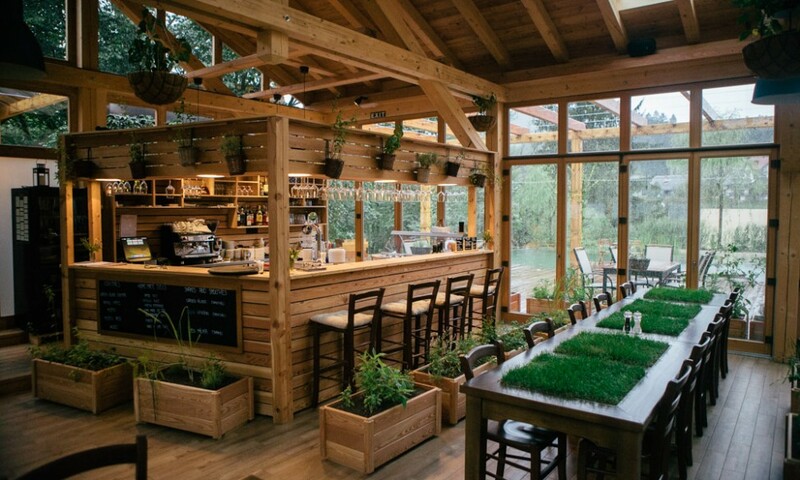 We stayed at a special eco resort in Lake Bled called Garden Village, which offers stylish glamping in gorgeous nature with an environmental conscience. 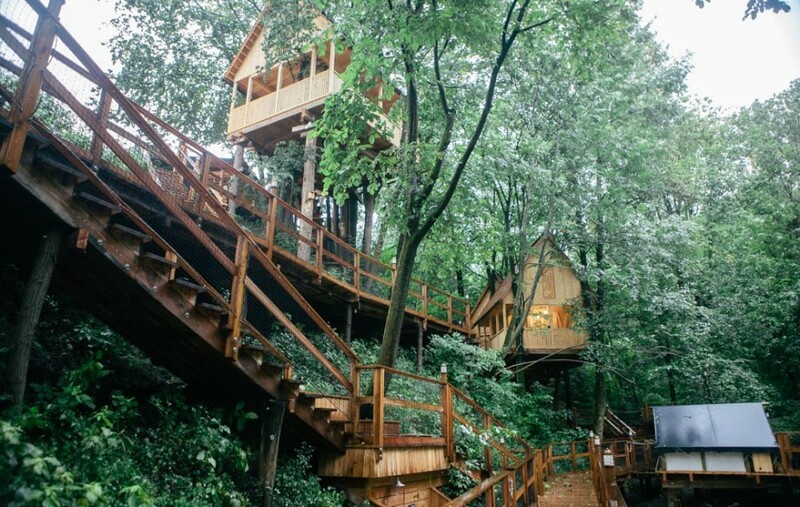 There tree houses are particularly amazing, and I’ve written a full review here. Prices start at around €80 for a tent beside the river. There was no availability there during Steve’s parents’ stay, but they enjoyed two nights at Penzione Berc, which costs around €85 per room. The restaurant at Garden Village is brilliant, and very unusual in that they serve all the food on a small lawn of grass embedded in the table! The restaurant at Penzione Berc comes highly recommended. They serve local produce in a lovely garden setting. 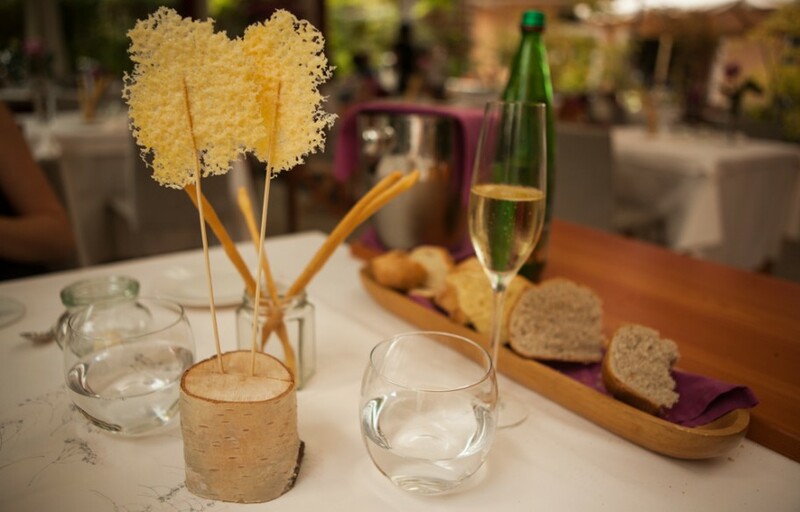 Penzione Berc restaurant comes highly rated, with a great view of the lake. You can catch a gondola or hire a row boat to get to the island in the centre of Lake Bled. Once on the island, you can visit the Church of the Assumption and a small museum, but the best bit is the ride out there! We didn’t have time to visit the castle, but admired it from afar. It’s perched on top of a cliff, 100m above the lake and is bound to offer magnificent views of the surrounding area. There’s a museum inside that traces the lake’s history from earliest times to the development of Bled as a resort in the 19th century. If you book a table at the Castle Restaurant, entry to the castle is free. One of the most popular half-day trips from Bled is to Vintgar Gorge, some 4km to the northwest of Bled village. The highlight is a 1600m wooden walkway through the gorge, built in 1893 and continually rebuilt since. It criss-crosses the swirling Radon River four times over rapids, waterfalls and pools before reaching 16m-high Šum Waterfall. The entire walk is spectacular, although it can get pretty wet and slippery in bad weather. There are little snack bars at the beginning and the end of the walkway; the path to view Šum Waterfall is behind the kiosk at the walkway’s end. The walk through the gorge takes around 45 minutes and is considered a “must do”. There’s a lot of debate about which lake is more beautiful: Bled or Bohinj. 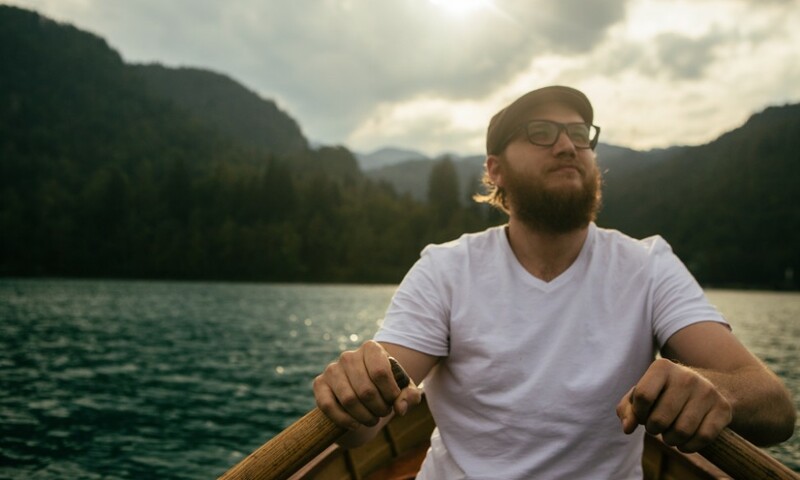 We didn’t get to Bohinj, but people say that, while it lacks Lake Bled’s glamour, it’s much less crowded and is an ideal place to indulge in relaxation and active pursuits, including swimming, cycling, walking, kayaking, hiking and horseback riding. The lake is a 30-minute drive from Lake Bled. On day six, you’ll spend the day driving over the scenic Vrisic Pass through the Triglav National Park and beautiful Soca Valley. Arrive in the afternoon and check into your special hotel before enjoying one of the best meals we had in Slovenia! 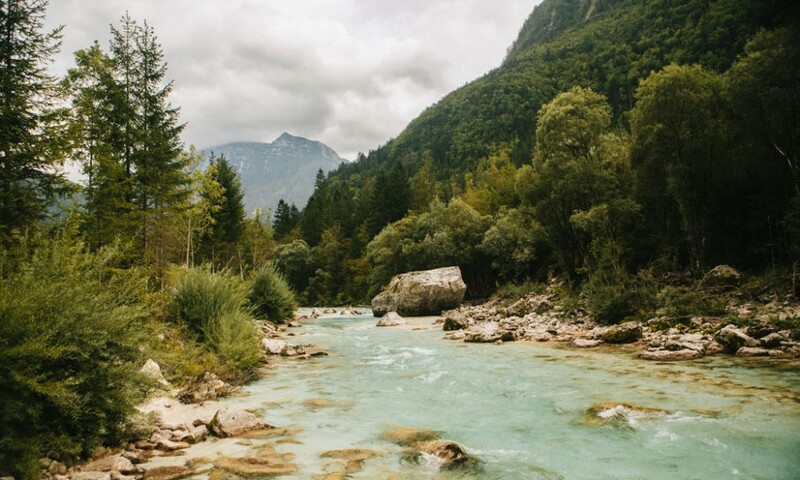 Note that although you’ll now be near to Kobarid, you will have time to explore the next day, so enjoy the drive and the hotel and don’t feel rushed. Drive to Kobarid via the Vršič Pass (2.5 hours). There is an alternate route to Kobarid, but we highly recommend taking the Vrisic Pass route as the scenery is stunning. However, if the weather is bad then give this a miss as the road is very winding and steep (The trip involves 50 heart-racing hairpin turns and dramatic vistas as you cross the Vršič Pass at 1611m!). Hiša Franko was one of the highlights of our time in Slovenia. The special restaurant and guesthouse in the magnificent Soca Valley has been included in a list of the 50 best restaurants in the world, and we definitely think it deserves that accolade. We recommend getting to the hotel in the afternoon so you can enjoy the scenery before dinner. 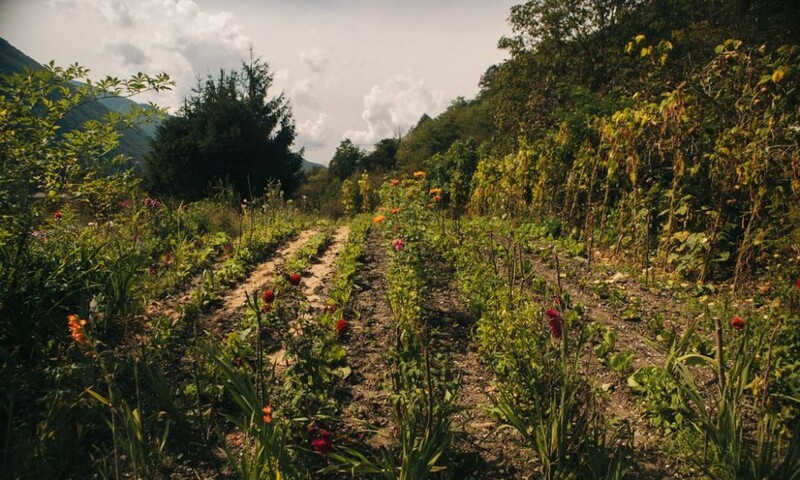 Be sure to take a look at Hiša Franko’s impressive kitchen garden. Also, Ana Ros, the chef at Hisa Franko, was the subject of an episode of TV documentary, Chef’s Table, which I highly recommend. For the drive, you could take a picnic and stop at one of the scenic spots along the way. You could also stop in Bovec for lunch, which is on the other side of the Vršič Pass. In the evening, we highly recommend eating at Hiša Franko. The restaurant is open for dinner from 7-10pm with last food orders at 9pm. 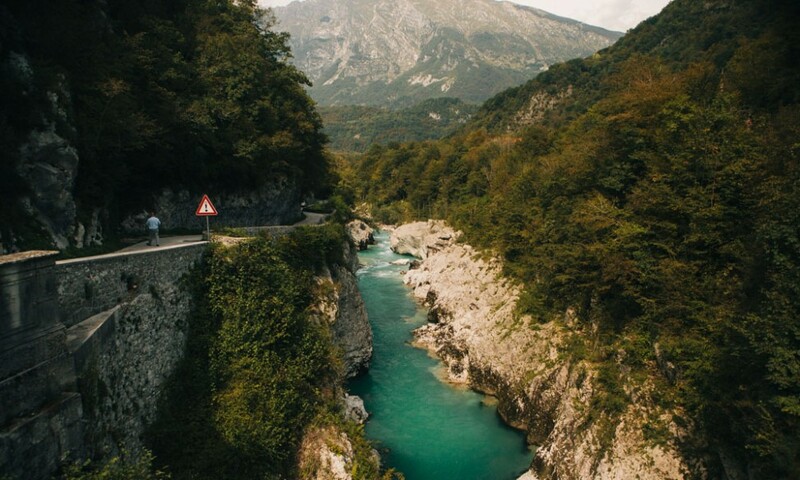 On your first day entering the Soca Valley, we recommend enjoying the drive, scenery, hotel and meal. You’ll likely be stopping lots to take photos just like we did! If you get to Hiša Franko early enough, you might like to explore a little of Kobarid and the surrounding area. Otherwise leave that to the following day. These are some of the things to do around Kobarid. The Kobarid historical trail links places around Kobarid, where important historical, cultural and natural monuments can be seen. It’s a 5km walk that takes 3-4 hours and is described as easy-moderate. During the walk you can see The Kobarid Museum; Prehistoric and Roman settlement on Gradic; Italian Charnel house; Soca Gorge; Tonocov grad; Italian line of defence; Kozjak waterfall; Italian line of defence; Napoleon bridge; Historical ethnological collection; and Od planine do Planike. You can do a self-guided or guided tour. A shorter alternative to the Kobarid Hostorical Trail is the 30-minute walk that leads to the photogenic, 15m-high Kozjak Waterfall, which gushes over a rocky ledge in a cavern-like amphitheatre into a green pool below. Access the trail from various spots: from a footbridge from Kamp Lazar campground, or from a car park opposite Kamp Koren. Alternatively, it’s also part of the Kobarid Historical Trail. 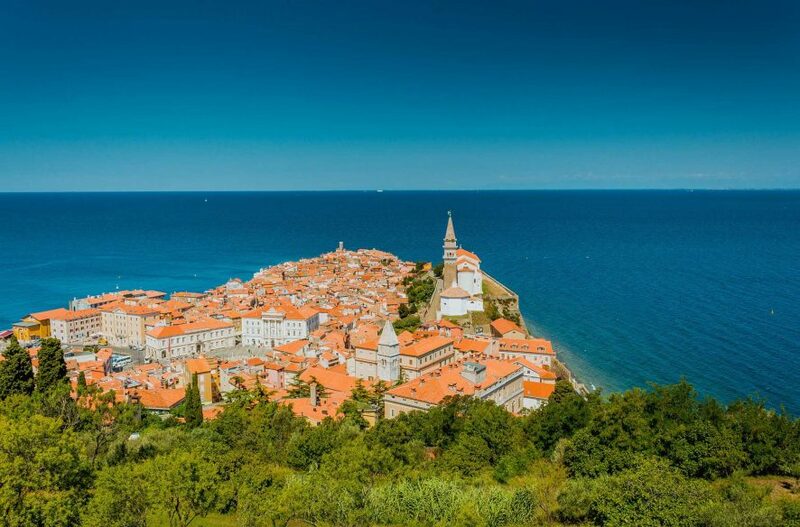 Piran sits at the tip of a narrow peninsula and is an atmospheric place to spend some time on the Slovenian coast, enjoying the seafood, sunsets and pretty seaside town. Piran’s old town is especially beautiful and an exquisite example of Venetian Gothic architecture. Piran is just over two hours from Kobarid. Along the way, you could stop in Trieste if you wanted to and had time. It’s about halfway between the two. Steve’s parents stayed in a beautiful AirBnB with amazing views out to sea. It looks amazing. Rooms cost from €100 per night. Book with this link to get £25 off your stay. It’s all about the seafood in Piran. Pirat is rated highly for its atmosphere and top notch food at good prices. Gostilna Park is commended for its great service, cosy atmosphere and generous portions. Riva is one of the best seafront options. And finally Cantina Klet sounds like a good option for some fishy snacks and wine. We haven’t been to Piran, but it sounds like a very pretty town where you can wander around and enjoy all the seafood. There’s a warren of ancient and cobbled streets that are meant to be particularly charming, filled with convents, Venetian houses and churches to explore. The cathedral, its small museum and belfry. The defensive walls where you can get a good view of Piran. Or you could drive 20 minutes to the Sečovlje Salina Nature Park, which are the northernmost salt flats in the mediterranean. They are famous for their unique bird and plantlife. There are two parts, the north and south. If you want to go to the south part, where there’s a museum, you have to pass into Croatia so will need your passport. For your final night, you’ll be staying at Majerija, a beautiful farmhouse and restaurant in the Vipava Valley, and area famed for it wine. Other things to explore while in the area include the Škocjan Caves and the iconic Predjama Castle. The drive to Majerija takes one hour from Piran. You could stop at the Škocjan caves along the way (about halfway between the two). From Majerija back to Ljubljana airport takes one hour. Or, if you choose to stop a Predjama Castle, that is 30 minutes from Majerija and then one hour from the airport. Majerija was a highlight of our time in Slovenia and Steve’s parents said the same. The hospitality is impeccable and it’s the perfect place to unwind. Plus the food is incredible! The rooms are underground but ceiling windows mean they get plenty of natural sunlight, and breakfast is also included. A double room costs €96 per night. Don’t miss eating at Majerija, which has some of the best food we ate while in Slovenia. Do check in advance that it will be open though. Another highly recommend restaurant in the area is Gostilna Pri Lojzetu, which is just a ten minute drive away. The Vipava wine valley has wineries to visit, and the Majerija farmhouse itself is a lovely place to relax or go for a walk. It’s also definitely worth taking a trip to the Škocjan Caves, which are 30 minutes away and considered a “must see” in Slovenia. We would perhaps recommend going to the caves on your way to Majerija from Piran as they are half way between the two. There’s a two-hour tour that’s recommened. Predjama Castle is another iconic spot in Slovenia and considered one of the most dramatic castles in the world. It’s on the way back to Ljubljana so you might like stop there on your way home. You could also go to the Postojna Caves, but the Škocjan Caves are said to be better. If you have a little more time, I recommend adding a night’s stay in Goriška Brda, Goriška Brda, a charming hilltop town nestled between the Alps and the Adriatic Sea. We stayed at a a full review here, a working vineyard and farm, and were instantly welcomed with some excellent homegrown wine. It’s another peaceful place to kick back and enjoy the countryside. I’ve written more about that area here. We found great last-minute deals on Booking.com, getting a discount of up to 60%. Use this discount code to get a £20 off your booking. If you’re planning a trip, be sure to check out our travel planning pages. 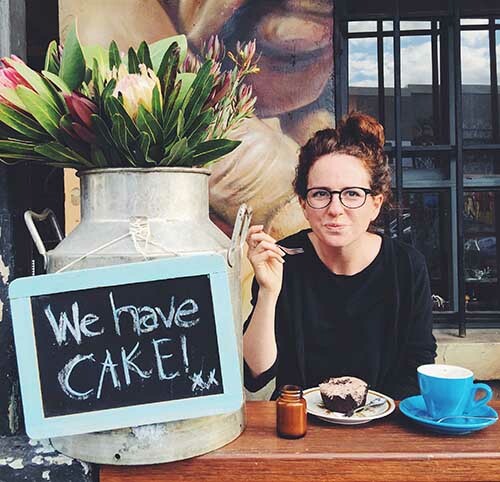 We also have full, detailed itineraries for: The ultimate California road trip itinerary; How to relax in Goa and Kerala; The ultimate South Africa honeymoon guide; How to make the most of 10 days in Japan; Finding hygge in Copenhagen, and 48 Hours in Dublin. See all our itinerary posts here. 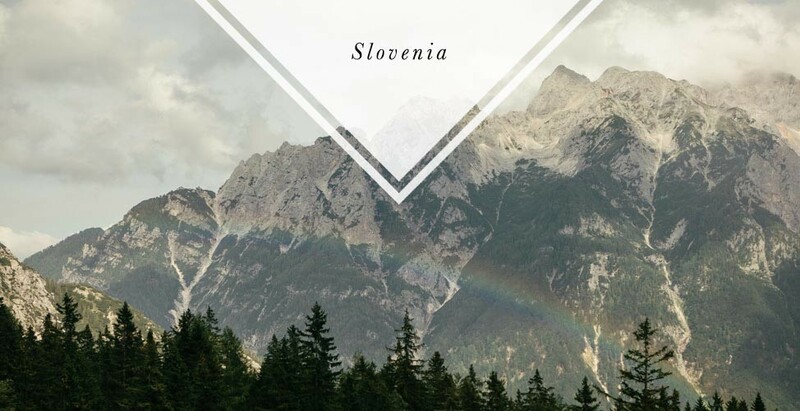 We’ve written plenty more on Slovenia, including: a post about how it captivated us; a Ljubljana photo essay; a tour of gourmet vegetarian Slovenia; and three posts about our road trip, split into Lake Bled; Vipava Valley and Goriska Brda; and Soča Valley and Vršič Pass. We had a fabulous time on this holiday and would highly recommend it. We wouldn’t have have gone to Slovenia without Steve and Victoria’s help. It’s a really special place. It does look very scenic. I’ve never been to Slovenia before, but it does look like a great place to visit! Thanks for sharing this!